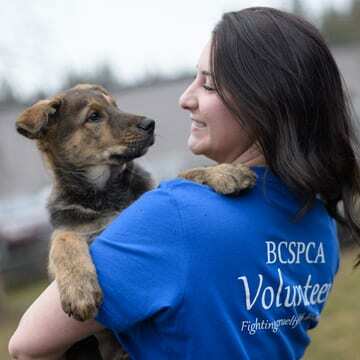 BC SPCA > News Stories > Hope in homes: creating pet-friendly housing in B.C. It’s a warm, bright summer afternoon at a residential building in Vancouver’s Downtown East Side as a handful of tenants congregate in their private courtyard. 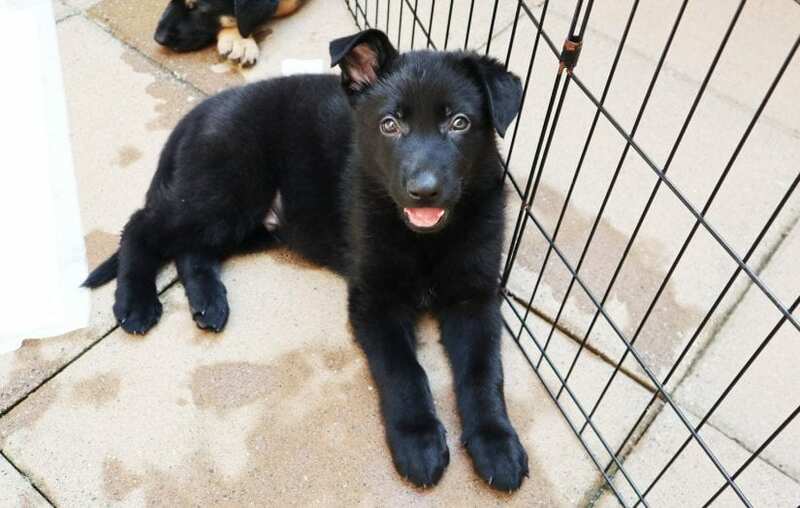 Though the sun is still high in the sky, there’s another bright spot here: in the middle of this courtyard is a pen with a litter of German Shepherd cross puppies. Most have jet black fur, while a few sport patches of white or brown along their coat. Two are lying down; only moments ago they were teaming up to empty out a water bowl with their tiny pink tongues. The rest of them tug at a tattered toy panda. Sitting a few feet away are their foster parents, chatting with neighbours. The discussion goes from progress on the vegetables in the building’s community garden, to how fast the pups are growing. “Leo’s face looks like it’s changed since this morning,” says resident Riannon Cathcart, marveling over one of the puppies she’s fostering. Everyone makes their own observations. 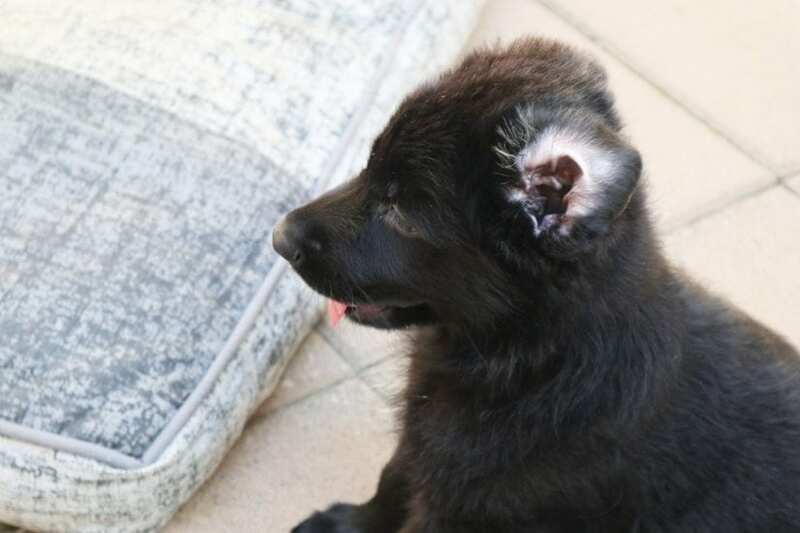 A couple of the pups’ floppy ears are starting to stand up. For some, such moments seem like a distant dream as Metro Vancouver watches pet-friendly housing options disappear before their eyes. It’s not hard to find would-be tenants disappointed in seeing the words “no pets” on a rental application. BC SPCA’s senior officer, digital & direct response, Charly Jarrett – who also lives in the building – says it did take some work to get the building to be more pet-friendly. Even though the building was labelled as pet-friendly, Jarrett says there was inconsistency. Each suite is individually owned, so some landlords would choose to reject prospective renters based on the fact they had an animal. 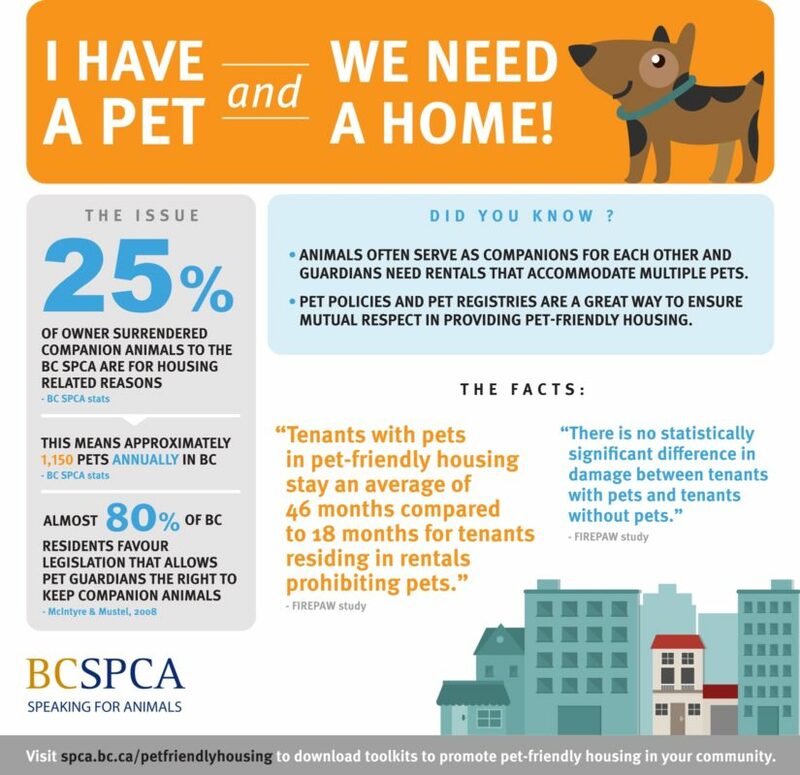 To do that, Jarrett says she used the BC SPCA’s online tool kit, which includes easy-to-follow guides for creating pet resumes, myth-debunking information for those who manage or own a rental property, and guides for people on strata councils looking to establish pet policies (PDF). The positive impacts continue to show in spades. Cathcart says the puppies have inspired more community events in the building.